We are a bunch of software developers interested in discovering Scala, learning about new techniques and frameworks and meeting other Scala developers in the Vienna area. Our aim is to meet regularly in 4 week cycles and share knowledge and experiences about the Scala programming language and its ecosystem. We post our code to: https://github.com/scala-vienna. 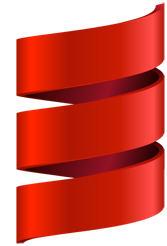 We are on Twitter as @ScalaVienna, we use hashtags #scala #vienna. Developers from all skill levels eager to learn more about this great language are welcome! Come on and join us! ROME is a set of RSS and Atom Utilities for Java that is open source under the Apache 2.0 license.